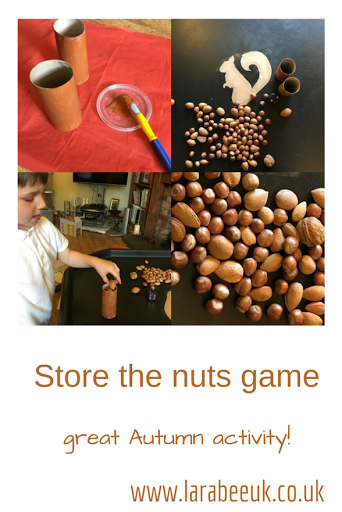 Last week I set up this simple store the nuts game for T to play after school, it's super simple and you need very few items you've probably already got around the house. 1. 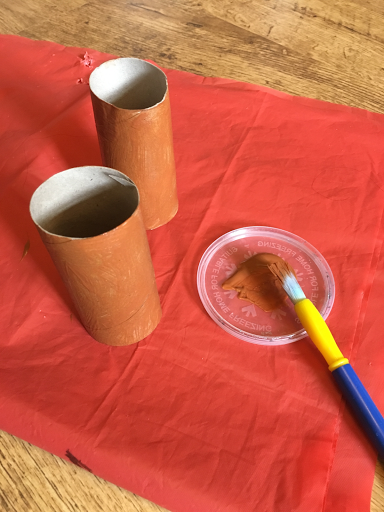 First I painted the loo rolls brown, you don't have to do this or you could get your children to do this instead. 2. 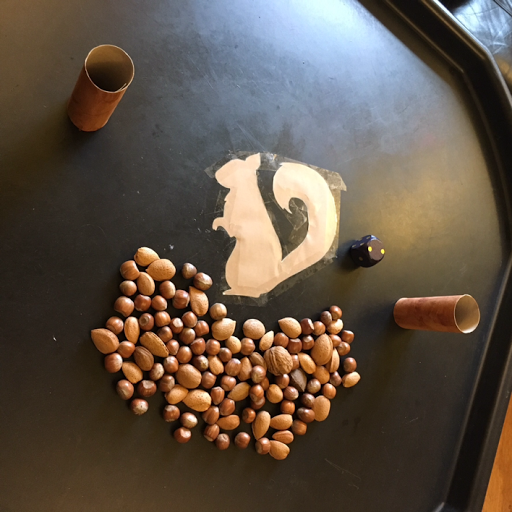 I printed out a picture of a squirrel and stuck it to the tuff spot, I added a bag of nuts the loo rolls and a dice. 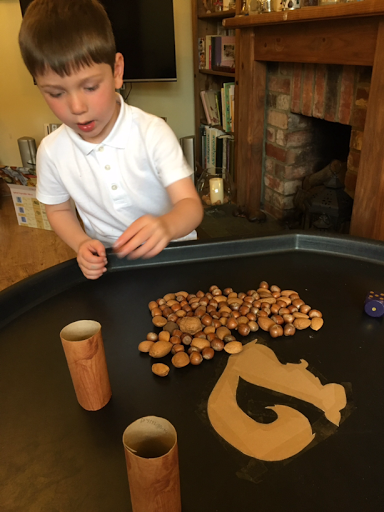 The beauty of this game is that it is suitable for most ages, small children can develop their fine motor skills by dropping the nuts into the 'tree trunk' pre-schoolers can learn how to use a dice and count and for KS1 children you could associate different sized nuts to each number or use 2 dice and get the child to work out a sum or times table to earn a nut. 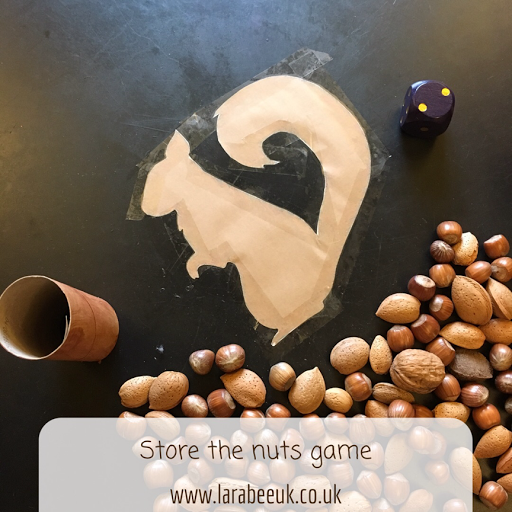 It's a fun and simple family game too, great for after dinner.